THB Thrust spherical roller bearings the load is transmitted from one raceway to the other at an angle to the bearing axis. 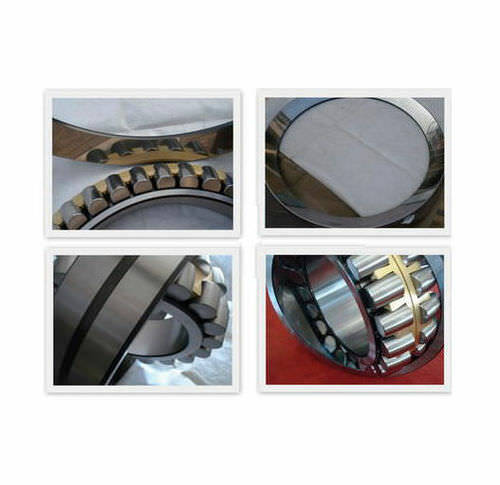 The bearings are therefore suitable to accommodate radial loads in addition to simultaneously acting axial loads. But the radial loads must be less than the 55% of the axial load. Another important characteristic of spherical roller thrust bearings is their self-aligning capability. This makes the bearings insensitive to shaft deflection and misalignment of the shaft relative to the housing. This kind of thrust spherical roller bearings are mainly used in hydro-electric machine, vertical motor, marine propeller shaft, crane, plastic injection type extrusion machine. Continuous casters, vebratory screens, gear drives, speed reducers, mechnical grabs, mining equipments, oil filed equipments, paper-making equipments, metal-making equipments, etc.